All orders over $25.00 in the USA ship free! 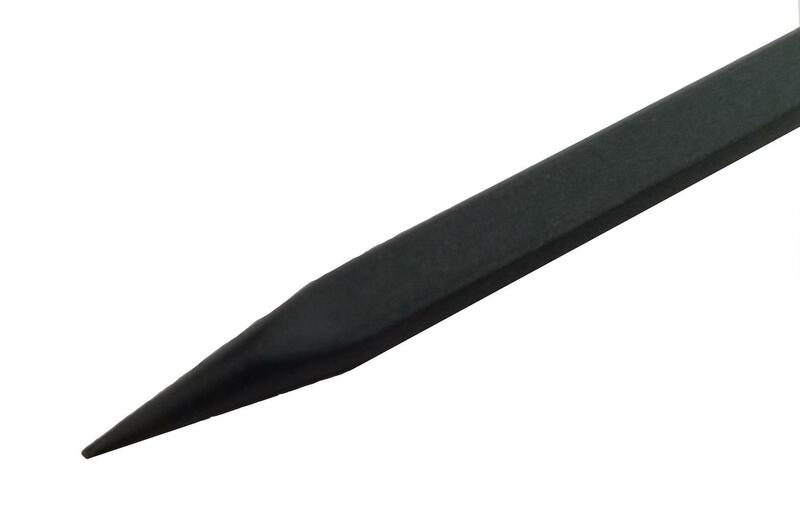 Spudgers.com is your source for high quality metal, plastic and nylon spudger pry tools. The spudger tool is largely used in the cell phone repair industry and other industries that work with electronics and electrostatic sensitive devices. Our selection of spudger tools is second to none and in most cases your spudgers will ship out the same or next business day! Proudly serving customers worldwide! The lifting, opening and prying tool for cell phone and electronics repair. A spudger is a tool that is used to assist with opening, prying, installing and removing components from objects such as electronics. A spudger is manufactured with various metals including stainless steel, fiber glass nylon materials and plastics. Some spudgers are anti-conductive and okay to use with electro static sensitive devices (ESD). A spudger is a tool that is commonly used in cell phone repair as well as the repair of electronic components found in desktop computers, laptop computers, tablets and other electronic devices. There are several types of spudger tools which consist of different materials which are appropriate for each task. For instance, a premium thin metal spudger may be well suited for removing a digitizer from the frame of a mobile phone where a plastic spudger may be better suited for disconnecting flex cables from the logic board within a cell phone. With that said, there is no best spudger however there are numerous spudgers that are good for specific tasks in regards to repair and assembly of electronic equipment. A spudger tool usually consists of plastic, nylon, metal, stainless steel or wood. Each material has it’s advantages over the other and we explain how these tools can be used. A metal spudger usually consists of a sturdy handle and may be single or double sided and is most commonly manufactured with a stainless steel or Teflon alloy. In some cases these spudgers can be sharpened or worn down should the tip be blunt when you require a thin tip. 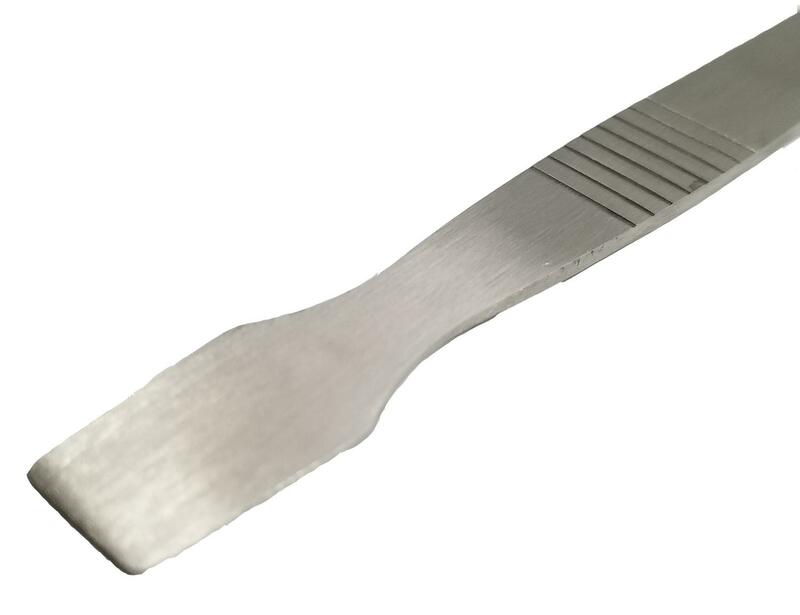 Premium metal spudgers usually have ultra-thin ends which may bend however reform should too much pressure be applied during a repair or pry opening process. A nylon spudger comes in several different styles, some are manufacturers to aid during the soldering process while others are made to help with prying, attaching or detaching components from a printed circuit board or PCB. The construction of this spudger varies depending on the manufacturer and range from flexible to rigid which largely depends whether the tool has been fiber re-enforced or not. A nylon spudger is normally double ended and may have a notch cut out of it to hold a wire during the soldering process. 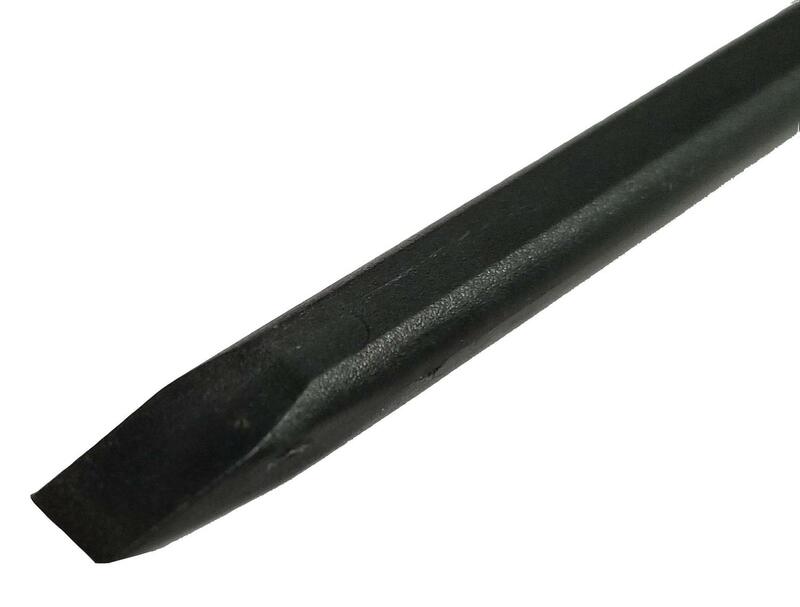 This type of spudger is commonly referred to as a Blackstick or Black Spudger Stick and is non-conductive so it will not damage electro static sensitive components. 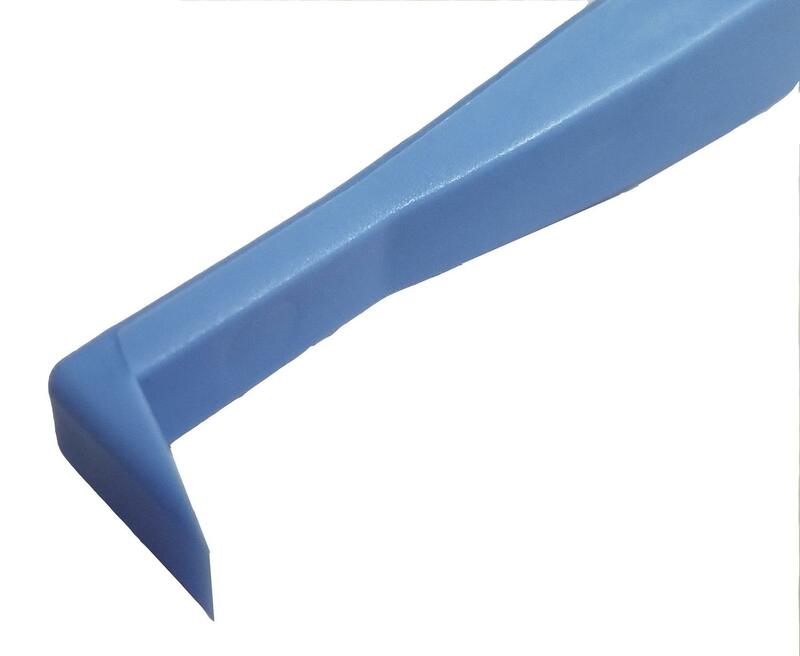 A plastic spudger can be used for countless tasks however is more likely to break down or need to be replaced sooner than metal or nylon spudgers. The plastic materials are more likely to wear down, sometimes in a single use so it is important to understand the proper way to use these tools to insure they do not end up trash after a single use. 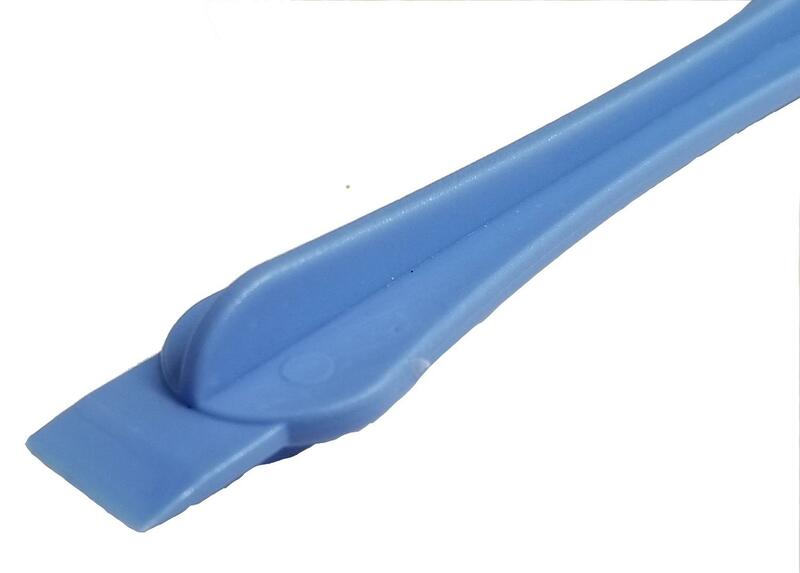 A plastic spudger or plastic pry tool is usually good for light prying and device opening as well as removing or attaching components on a logic board or circuit board where an anti-static tool should be used. Beyond the construction material of the spudger tool, there are some other types of this tool that might be suit the needs of your repair. A heavy duty spudger should be considered in applications where large amounts of prying and force may be applied to the tool. Using tools that are flexible rather then ridged in an application where you need to pry parts apart will likely result in damage to the tool itself and possibly components of the device you are repairing. 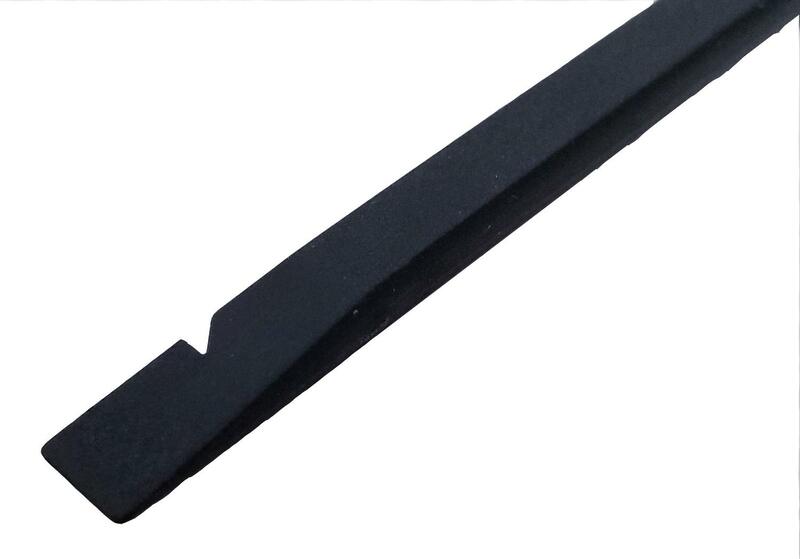 There are numerous types of heavy duty spudger constructed with various metals, hardened nylon fiberglass, and hardened plastics where these tools will give you leverage to pry apart parts from laptop computers, desktop computers, cell phones and other electronics. 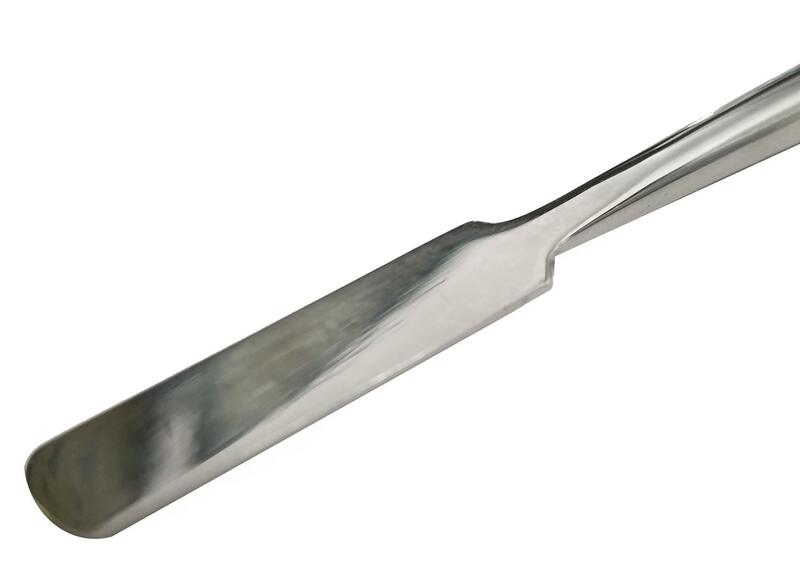 A pry bar spudger is a tool that is made specifically for prying components apart. Sometimes these components may be secured with adhesives and glue that make it difficult to separate parts. In some cases a pry bar will give you the leverage needed to separate these parts. In other cases, a tool like this can also be used to remove simple components which may have small amounts of adhesive securing it but it will get in at the perfect angle. An example of this could be a battery that is seated within a cell phone. A toothpick spudger is pretty close to what you would imagine it to be. 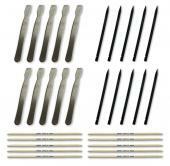 More commonly though, the toothpick is referred to as part of the spudger that is pointy and can be used for pushing and probing parts within a device. A wirehook spudger is a tool that has a notch in the side of the tool where a wire can be seated to hold a wire in place during the soldering process. There are several manufacturers who produce this type of spudger and their density and durability largely differs depending on the material that is used in the manufacturing process. The spudger tool can most commonly be found being used in the cell phone repair industry but is also used by government agencies which might include NASA and other sectors which work with small electronic components. Major companies who might use a spudger in the manufacturing process could include Samsung, Apple, Dell, Amazon, Google, Microsoft, Nintendo, Motorola and any other manufacturer of consumer electronics. In the cell phone repair industry a spudger is commonly referred to as a cell phone pry opening tool and can used through most of the repair process which can include case opening or removing a LCD digitizer display from the bezel of the cell phone, separating an LCD from the front glass digitizer, disconnecting a flex cable, to remove a logic board and during battery replacement where the battery needs to be listed from the main body or case of the cell phone. In PC repair a spudger can be used to disassemble the bezel of a laptop or monitors as well to help remove excess thermal paste from a cpu or heat sink. In major computer repairs where a motherboard may need to be refurbished a spudger can be used in the application of removing defective components and installing new components with solder. Other uses for a spudger could include a number of tasks in the home or in the kitchen. An at home DIY project might require to remove silicone from around a pipe or in the siding of the house. The right spudger can help you to scrape off excess or old silicone so that you can apply new silicone onto a clean surface. The #1 use for a spudger is to help repair electronic devise. 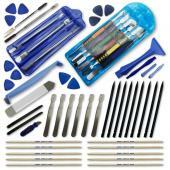 Commonly, these tools are used in the cell phone or mobile phone repair markets as well as to work with circuit boards, logic boards and motherboards commonly found in consumer electronics. We realize that big box stores do not carry spudgers and finding one in a near you is unlikely. With that, we take pride in the fact that we keep items in stock and are able to ship spudgers quickly; in some cases you can receive your order the next business day. When making your purchase, wholesale pricing is automatically applied when you place large quantities of spudgers into your shopping cart. We ship spudgers worldwide and can provide express shipping to customers who elect this option during check out. In most cases items are shipped via USPS First Class or USPS Priority Mail. Don't see your country listed here? Odds are we still ship to you! Click here to see a complete list of countries we ship to. If there is anything we haven't covered or you have any questions, please feel free to contact us at (833) 778-3437 or by email at support@spudgers.com.